The Caribbean culture is a strange blend. It is the sum of all foreign influences laced with ethnic flavor. This is what makes the region an easy choice for travelers. Tourists go to the Caribbean islands for their tropical beach resorts. Tropical fruits of all kinds are sold almost everywhere. European visitors are assured a warm welcome because Caribbean locals are able to speak their language back home. Surfing, sailing, and diving are popular sports in the Caribbean. Jamaican surfing, in particular, is gaining popularity in the United States. Aside from the spell of Jamaican music, tourists visit Jamaica for its falls and ruins at the Ocho Rios Fort. 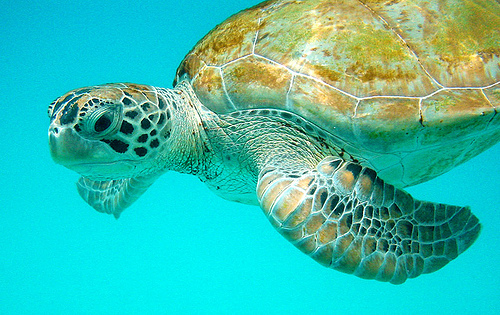 There are also perfect sites for snorkeling, fishing, and idling in Martinique. Some small islands, in fact, are owned by the rich and famous. David Copperfield owns an island in the Bahamas. It is believed that tourism is taking a toll on the environment. There seems to be a limit to how much infrastructure the islands can hold. But the popularity of the islands is just too strong to resist. The Dominican Republic is situated on the eastern two-thirds of the island of Hispaniola and is about double the size of New Hampshire. Hispaniola is roughly near the center of the West Indies, a cluster of islands that extend from Florida to Venezuela. To the north of Hispaniola is the Atlantic Ocean; to the south, the Caribbean Sea; to the east, Puerto Rico; and to the west, Cuba. The Dominican Republic is a familiar tourist destination, with glorious-white beaches, gorgeous landscapes, and rhythmic sounds of Latin American music. Grenada is an island and sovereign state made up of Grenada and six smaller islands in the Caribbean Sea. It is just off the coast of South America, northwest of Trinidad and Tobago, northeast of Venezuela and southwest of Saint Vincent and the Grenadines. The capital city is St. George's, located on the southwest coast of the Island. Grenada is the world's second largest nutmeg producer, and the national bird is the Grenada Dove, now endangered. Grenada's head of state is Queen Elizabeth II, and the Prime Minister is Tillman Thomas. When people dream of getting away from it all and escaping to a place of endless peace and beauty, they think of Aruba. Surrounded by blue green water and sandy white beaches, Aruba is the vacation destination for people looking for a little slice of heaven on earth. Together with Curacao and Bonaire, Aruba makes up the Netherlands Leeward Islands in the Caribbean Sea called the ABC islands. First inhabited by a peace loving tribe, the warm spirit of caring and friendliness that the people of Aruba shows towards others is what draws visitors to the island again and again. Enjoy life in the islands of Guadeloupe, a tropical Caribbean paradise located at the arc of the Leeward group of islands, in the eastern part of the Caribbean Sea. It is an overseas department of France and is therefore a part of the French Republic. The island is approximately 4515 miles from Paris and about 1910 miles from New York. It is known as the butterfly island for the shape of its twin islands, Grande-Terre and Basse-Terre. On the eastern wing of the butterfly island lays Grande-Terre, which is famous for its white sand beaches, resorts, sugarcane fields, royal palms, and museums. Cuba is an island in the Caribbean Sea, consisting one island and several archipelagos. It is a very isolated country due to its politics and continued disputes with its large neighbor, the United States. It is the largest island of the West Indies group of islands and also the westernmost. It is just 90 miles from the Key West in Florida at the entrance to the Gulf of Mexico. Cuba was the center of the Communist revolution that took place in many countries in South America and Africa, and this entailed a lot of support from the USSR, including large financial subsidies. Jamaica is an island nation of the Greater Antilles situated in the Caribbean Sea, about 90 miles south of Cuba, and 120 miles west of Haiti. With some of the most beautiful natural scenery anywhere in the islands, and one of the largest natural harbors in the world, Jamaica is one of the most frequented tourist attractions in the Caribbean. Formerly a Spanish held possession known as Santiago, the island later became a possession of the British Crown and was renamed Jamaica. It remains a British Commonwealth, with Queen Elizabeth as the head of state, and Kingston the capitol. 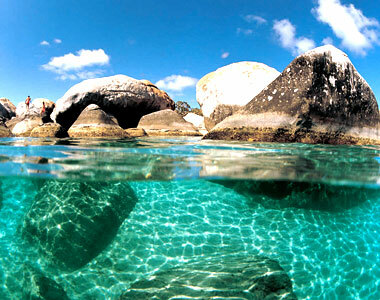 St. Vincent is one of the largest islands in the chain referred to as St. Vincent and the Grenadines. This volcanic island is located in the Caribbean Sea midway between St. Lucia and Grenada, and part of the Windward Island Group. The capital and main town is Kingstown. St. Vincent Island has a unique natural beauty of its own, yet to be discovered by many tourists, making this an ideal vacation place for those who love serenity and want to enjoy the spectacular views of mountains and lush green tropical valleys, cascading waterfalls, rivers, and beautiful beaches. Just east of the Caribbean Sea is the West Indian island nation of Barbados, in the western part of the Atlantic Ocean. Bridgetown is the capital. Queen Elizabeth is still acknowledged as the head of state after more than three centuries as a colony. It is considered a part of the Lesser Antilles and has Martinique, Saint Lucia and Saint Vincent as its nearest neighbors. It is north of the Trinidad and Tobago nation with which it shares an official maritime boundary. Puerto Rico, the eastern most tropical island of the Greater Antilles, is located between the Caribbean Sea and North Atlantic Ocean, to the east of Dominican Republic and to the west of U.S Virgin Islands. The metropolitan capital city of Puerto Rico is San Juan. This exotic vacation spot can be easily reached via plane or cruise ship. The awesome beauty of this island, with natural breathtaking scenery, makes this one of the most popular vacation destination for travelers. 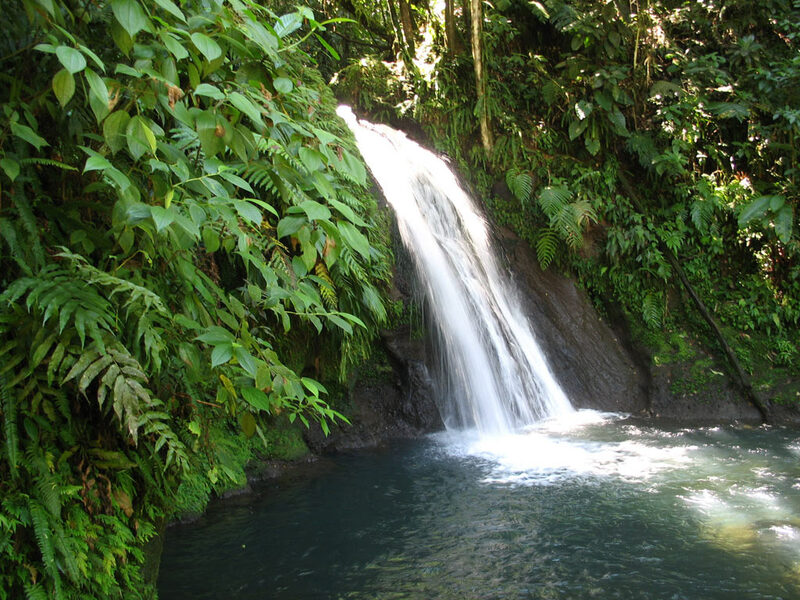 Whether you stop overnight on a cruise ship or you stay on the island itself, Dominica is a vacation spot you won't want to miss. The scenery is breathtaking, with beautiful ocean views, sandy beaches, and lush tropical vegetation. Perhaps you'll get there for the World Creole Music Festival during the first weekend in October, or perhaps you'll arrive in time to see the cricket matches. You may enjoy scuba diving or just swimming in the emerald waters. The oldest remaining British overseas territory, Bermuda boasts an abundance of natural and man-made attractions that make it a popular tourist attraction for visitors from both the United States and a large portion of the UK and Europe . British Virgin Islands are a British overseas territory, located about 50 miles east of Puerto Rico, and northeast of US Virgin Islands. The islands and cays that comprise the British Virgin Islands are clustered around the Sir Francis Drake Channel. Often referred to as "Nature's Little Secrets", these islands offer pristine beaches, several unspoiled anchorages, and exotic fauna and flora. The site is great for yachting, and is known as one of the best and safest sailing destinations in the world, with its consistent trade winds, nice weather, and a variety of isolated and fascinating bays to visit. The beautiful island of Montserrat, the "Emerald Isle of the West," is a popular spot for tourists, destination weddings, and honeymoons. It's also a draw for people interested in volcanoes, with an active volcano right on the island. From Jack Bay Hill you can view the former capital of Plymouth, now known as the modern Pompeii. It is completely covered in volcanic ash from the eruptions of the Soufriere Hills volcano that began in 1995. The Cayman Islands are a British overseas territory, situated in the pristine waters of the western Caribbean Sea, 150 miles south of Cuba. The territory comprises three main islands. The largest and most developed is Grand Cayman, with a population of about 35,000, is 22 miles long and 8 miles at its widest point. It stands 90 miles from Cayman Brac and Little Cayman, which are separated by only 5 miles. Cayman Brac, the second-largest island, is 12 miles long and 1 mile at its widest spot, with 1,600 inhabitants.